A directory of manufacturers, suppliers, and professional services for Canada’s beverage industry. Description: Burkert Fluid Control Systems is a global system solution provider with expertise in automation and brewery process control. We offer complete control loops for flow, conductivity, pH, temperature, pressure or level. Where compactness, smart communication, plant footprint, wash-down and reliability are a concern we provide process efficiency and higher yields by offering you unlimited process modularity. Description: Criveller has over 35 years of experience in manufacturing turn-key custom brewing systems, packaging lines and filtration equipment. Our brewhouses are completely manufactured in Niagara Falls, ON. We pride ourselves on manufacturing a custom system tailored to the needs of every individual customer, providing installation, brewing techniques and full service. We also provide a full range of distillation equipment including custom stills as well as cider processing equipment and custom tanks. 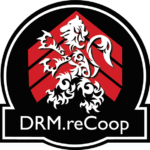 Description: DRM.reCoop is the first and only mechanized oak barrel re-cooperage service in the Niagara region. 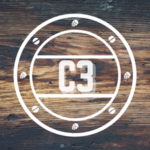 Our system allows wineries, distilleries, cideries or craft brewers to maximize their investment in oak barrels while providing an excellent return on investment from re-coopering or re-charring. We offer a sustainable process that allows you to reuse your neutral oak barrels without having to buy new. We regularly have used rum, bourbon, brandy & whiskey barrels onsite ready to fill. Description: FabWeld Stainless is your reliable sanitary welding service, experienced in fabricating, modifying and repairing industry equipment. We provide both mobile or In-shop services. 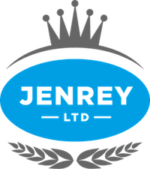 Visit our website to see products for sale, entirely custom to suit your needs, or get in touch to discuss new ideas you would like to make reality! The possibilities are endless. Craft beer is distinct because of the creativity you put into your product. Don't let your equipment limit your imagination! Description: Gorman & Smith Beverage Equipment started as a company with one goal in mind, to help passionate people build their dreams. Helping over a dozen facilities start brewing local and fresh craft beer, we're able to assist with the design and sourcing of your new facility or your next expansion. However, we're not afraid to get our hands dirty and turn a wrench! Being able to properly maintain the equipment is a large part of what we do. A brewery or cellar vessel should be able to last decades with the right tools and proper care. Description: Miura Boiler was founded in 1927 and has grown to be one of the largest industrial steam boiler manufacturers in the world.All Miura boilers produce steam in less than 5 minutes using their exclusive floating head design, a revolutionary advance that results in substantial oil and gas cost savings up to 20% on average. Miura also provides Water Treatment solutions such as softeners, RO, chemicals and injection systems. In addition to that Miura has a team of factory trained technicians to service customers from Coast to Coast. Specialty: Homebrew Supply, Beer Education, Nanobrewery with custom built equipment for breweries and homebrewers. 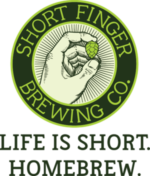 Description: Short Finger Brewing Co. is a small independently run homebrew supply store that is totally DIY focused. We offer a wide range of equipment and raw ingredients but specialize in custom brewing equipment for breweries and homebrewers. A large focus of the shop is on education. We offer regular learn to brew classes as well as a wide variety of sensory training. Every month we host our Homebrew Hangout that has an educational topic and often a beer to be served with it. Farmhouse and Sour Barrel Aged Brewery TBA 2018. Description: Wild Goose Canning – Meheen Manufacturing designs, engineers and manufactures world-class beverage canning and bottling solutions for premium craft producers who demand quality without compromise. Each precision Wild Goose – Meheen system is expertly crafted to customer specifications to ensure the quality and consistency of every batch from tank to can or bottle. Description: Tattoo Your Bottles - Screen Printing that will provide consumers with a "Distinctive Package". Printing directly on the bottle overcomes labeling issues and will offer a premium look for your brand. Description: We grow and process hops in British Columbia. We guarantee world class quality, consistent supply and great customer service to our customers around the world. Only available through BC Hop Co, our LumberjackTM hop has an aroma that can be described as predominately bitter with notes of melon, sweet citrus, and spices like clove and allspice. Noble hop characteristics produce a soft earthiness that works well in lager's, saison's, pilsner's, or other brews where noble hop character is desirable. Description: At Brew Culture we're passionate about craft beer and the community within the industry. Craft brewing in its purest form is defined by the creativity and imagination of its brewers. From our locations in Muskoka, ON and Vancouver, BC we aim to supply those brewers with the highest quality hops, direct from out partner growers around the globe. As the exclusive Canadian distributor of White Labs Pure Yeast & Fermentation, we stock and warehouse your favourite liquid yeast strains, enzymes and nutrients domestically giving brewers dramatic savings on shipping and eliminating customs delays. We also distribute industry specific brewing aids, cleaning solutions, and equipment to breweries, cideries, distilleries & wineries across Canada and the United States. All together we offer the brewing ingredients and products needed so brewers can explore their creative minds in the beers they so artfully create. Specialty: Strategic design & branding for people who dream big! 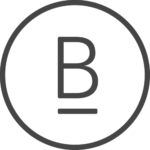 Description: I’m Brett Lair, an experienced, professional graphic designer specializing in creating strong identities, making products stand out, and building brands from the ground up. It doesn't matter if you're building your brewery or already established, I'll help grow your business through thoughtful, strategic design and branding. Description: BDL is a private joint venture company owned by Labatt Breweries of Canada and Molson Breweries for the wholesale distribution of beer and the collection of returnable, refillable and recyclable beer containers within the four Western Canadian Provinces, as well as Northwest Territories and the Yukon. Description: Sales, install and service of equipment related to the beverage world. We work with a number of suppliers to offer you turn key solutions for your new build, as well as on going support for existing customers. Description: Specializing in start-up and on-going financial consulting services for breweries for their accounting & tax needs in the alcohol industry. Over 15 years experience in dealing with beer industry matters.